Remember when Super Nanny first burst onto the parenting scene? She really made time-out her signature move with variations on the time-out corner, mat and stool. 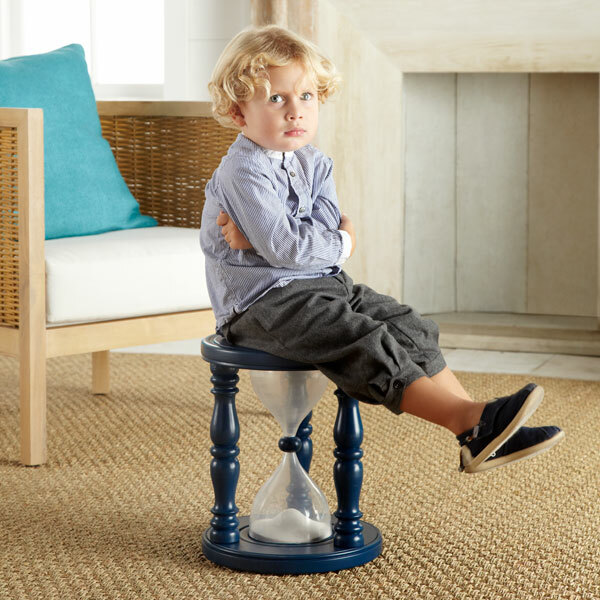 The Time Out Timer Stool is designed by Wisteria so that parents and kids know exactly how long the cooling-off period is going to take. 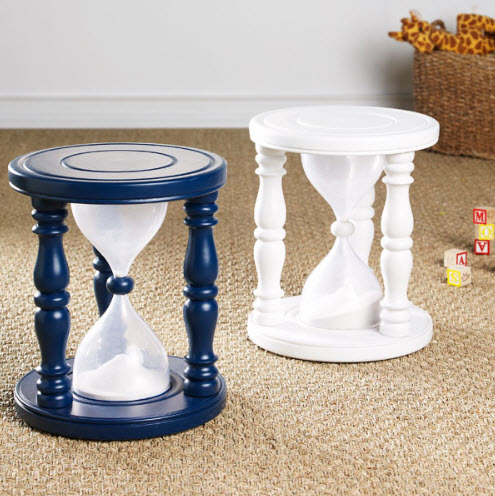 The hourglass stool is filled with white sand to time approximately five minutes, so after you’ve been sent to the naughty corner, flip the stool over and start serving your time. I guess this is about as fun as time-out is going to get! The Time Out Timer Stool is US$99. Unfortunately Wisteria only ship within America so you will have to use a freight forwarder to have such well-timed time-out in your house.